Life, Laughter and Paris: Bon Long Weekend! This is a long weekend in Québec. 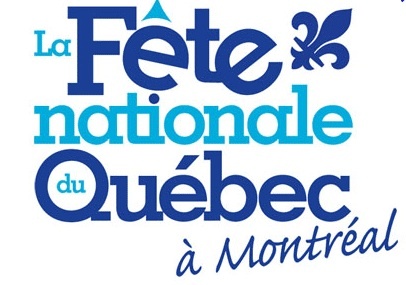 It’s Saint Jean-Baptiste Day, Fête Nationale du Québec. This is great because we just had a long weekend in May. It was Victoria Day, no, Dollard Day, make that National Patriots’ Day (unless it was changed and no one told me). Then July 1, (well, the holiday is on the 2nd this year) we’ll have Dominion Day Canada Day. (Yes, that’s stretching it. We changed ‘Dominion Day’ in 1982 but it’s fun to use the “strikethrough” key). Now if you’re worried about Montreal’s infrastructure problems, don’t let this discourage you. Yes, lately we seem to have an abundance of sinkholes big enough to swallow small cars and yes, water mains keep breaking and gushing fountains into the streets…but what easier way to cool off? And we need to cool off, it's very VERY hot here! Take in a free concert, parade, bonfire or any neighbourhood event and enjoy the festivities. You horror here I am looking forward 50cm of rain and a temperature of ooohh maybe 15C. Did you get the rain? It's starting to cool down here - a breeze just came through the window. Heaven! Yes got the rain and ended up put the heater on later in the night. This global warming needs changing to global uncertainty. June and the thermometers not been over 25C. Could be a rubish summer. I don't know if I'd rather have cool, or 40C. Yes I do....I'd prefer cool. Today it's 20C, and raining. You're right - "Global uncertainty" is more like it.